For those who weren’t at Georgia State back in 2014, #SaveWRAS might not mean much, but back then, it meant a lot. You might still see the station’s sticker posted here and there, but the call to save the station has died down over time. What happened was that Album 88 started sharing roughly half of each day with Georgia Public Broadcasting (GPB). This decision to share the airwaves wasn’t announced to the student population until after the trade was finalized. What was once considered a great, independent college radio station was now relegated to being great only in the evenings and on an online stream. The rest of the time, well, it wasn’t even college radio anymore. 5 a.m. to 7 p.m. was to be GPB time. I remember the day I found out about this. I was driving and listening to 90.1, and decided to listen to 88.5 for some eccentric music, only to find that the exact same newscast was playing on both stations. I remember wondering what the point was. It just seemed so stupid to me. What did anyone possibly have to gain from occupying two radio frequencies with the same show? Apparently GPB having “access to a full-market FM radio signal it never had before,” is beneficial to them, according to AJC. I’m not trying to argue that college radio is at all times better than corporate radio, either. I’m just saying I don’t understand why GPB would even want to take up time on Album 88. At the same time, I don’t understand why those calling to save Album 88 would so vehemently want their day-time slot back, either. It’s not as if the entire station was bought up. They still had primetime hours for their independent programming, so why the uproar? Isn’t the best time to listen to eccentric programming late at night? I see the uproar as an ideological disagreement between what should be done with campus media resources, much like what I tried to get at in another one of my articles about CineFest. On one hand, there is the idea that college radio should be strictly determined by students’ tastes, that students should be the station’s sole DJs and that programming should be solely determined by students. In this way, any form of compromise would be selling out. After all, isn’t it all the best bands and most unique programming that come out of this liberal-minded attitude? Students are hip, they are independent, and they’ll find obscure artists who haven’t been featured before, exposing them to a much wider audience than they would have otherwise gotten. One could argue that the resources that belong to the school are the school’s to use at their own discretion. I think that in this case, this “on the other hand” is more salient. I used to think the college has a series of a priori responsibilities to its students, one of them being an unadulterated college radio station, but I’ve since changed my mind. The school doesn’t owe its students a radio station, even if those students (or their families) pay activity fees for it. The school owes them only that which they require from school, which is, at its barest, an education and a diploma. Everything else, I think, is a privilege – or more aptly a compromise – especially in the case of Georgia State, which is by-and-large a research institution, and a commuter school, which in my mind makes it less beholden to its students and less concerned with student and campus culture than other campuses. 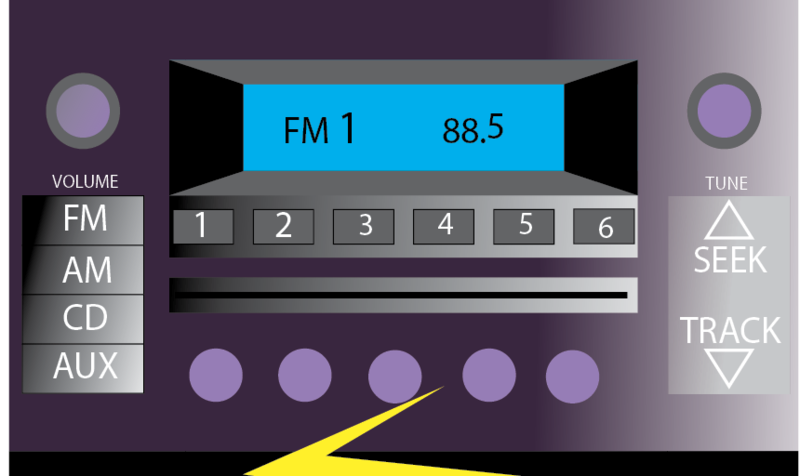 Along this vein of compromise, a student can argue that college radio strengthens the identity of the school and gives it a uniqueness that other radio stations don’t have. That’s the whole idea behind college radio in the first place. It’s good for the indie DJs and the school. A good compromise leaves both parties happy. Yet, it’s probably the same reasoning the movers and the shakers employed when they divided 88.5 50/50; they didn’t want to entirely do away with one hand or the other. The deal itself was likely a decision to incorporate both hands of the debate together: corporate and student-run radio, together, making for a winning pair. Now, I don’t know if this was the rationale behind the decision–I’m only surmising–but it would make sense considering the – at least two – directions Album 88 could have gone in. It would make sense that a college radio station would want to be used for a dual purpose: providing students with a creative outlet for their individualist DJ voices – which, I might give here are themselves only patchwork conglomerations of other lesser-known tastes – as well as sharing some space with a more commercially-feasible partner. Except, if the deal has such parity, why the Save WRAS movement? Well, a good compromise always leaves both parties unhappy. Or, in this particular case, just one party is unhappy.